There are also some friends of The Flickcast who are having panels you should check out if you’re going to be out here. Chrissy Lynn of Threadbanger will be on the Cosplay Makeup 101 panel on Friday at 2. Chrissy will also join League of S.T.E.A.M. members on the Steampunk in Pop Culture panel on Saturday at 2. Kristen Nedopak and Tom Grey will be on the 2014 Geekie Awards panel Sunday at 2. Geekscape’s John London and FJ DeSanto will be hosting Giant Kaiju Monsters vs. Men in Suits Attack Japan at 2:30 on Sunday. Finally, the exclusives. 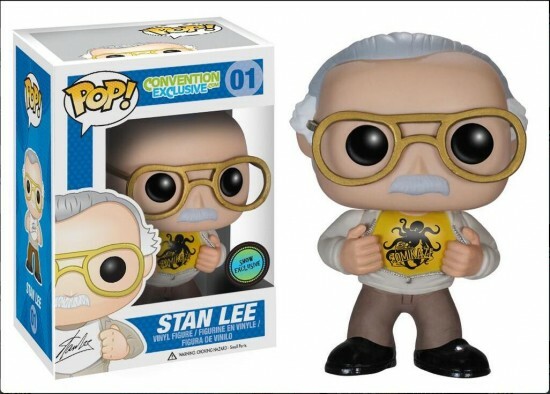 If you check out the Stan Lee’s Comikaze twitter feed at @StanLeeComikaze you’ll see they’ve done an awesome job of showcasing the exclusive collectibles from the show. Like the Stan Lee Pop (seen in the banner), there is also an exclusive Standor Masters of the Universe that will be soon on my shelf. Possibly the most disturbing is a Blanka styled Hello Kitty. I don’t know if I need to buy it… or kill it with fire. And of course our friends from Loot Crate will be their too. Make sure to check back after the weekend for a Comikaze recap and hopefully some great video footage to go with it.